We don't compromise on heritage: our scones are now made in the UK by master bakers, giving you the perfect companion to an afternoon tea every time. 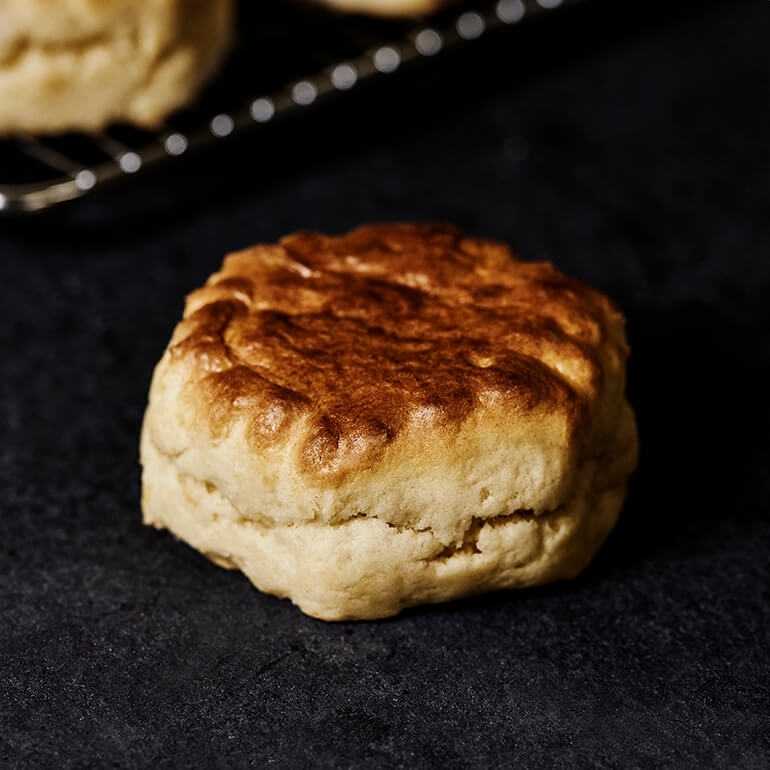 Firm on the outside, lovely and soft on the inside, our beautifully buttery scones make a delicious teatime treat. Brits love to cut them in half and smother with butter, jam (fruit preserve) and big dollops of clotted cream. If you’ve not tried clotted cream, it’s a very thick, very rich cream that’s as wonderful as it sounds. Water, enriched wheat flour (flour, niacin, iron, thiamine mononitrate, riboflavin, folic acid), sugar, palm oil, soybean oil, leavening (baking soda, sodium acid pyrophosphate, monocalcium phosphate, nonfat milk, eggs, buttermilk, contains 2% or less of artificial flavour, mono- and diglycerides, salt, soy flour.